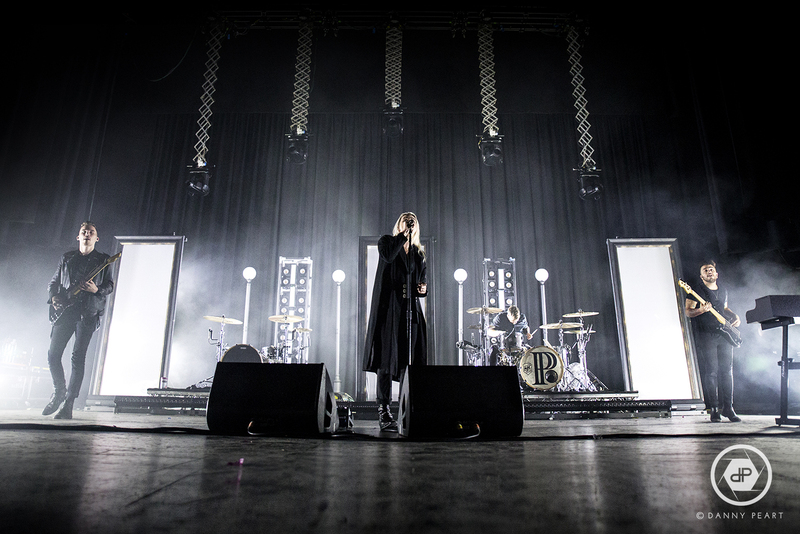 We were fortunate to catch Pvris on their headline UK tour at the O2 Apollo in Manchester off the back off their record AWKOGAWKOH (mouthful). After delving deeper into their latent darkness shown in White Noise it was always going to be interesting to see how they presented themselves in a live setting. Black and white isn’t really a theme but Pvris have managed to absolutely milk a monochrome vibe for all it’s worth. Black and white set with all black get up for the entire band and pure white strip lights in the background. This does, however, set the scene with Pvris. 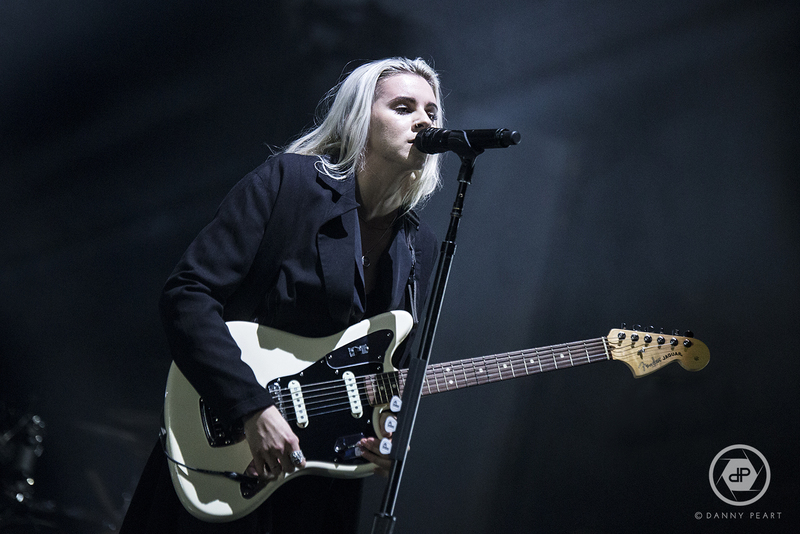 The mood and aura that Lynn Gunn emanates can be felt through the entire venue. Her savage delicacy touching every member of the audience. Naturally, the band split the set list between White Noise and AWKOGAWKOH initially opening with Heaven. Lynn and a piano open before bursting into the hook in unison with a thousand voices. 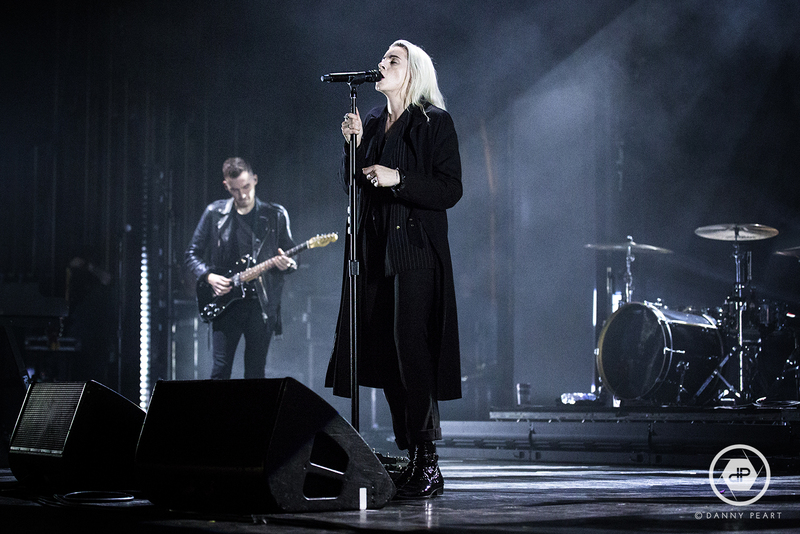 Pvris have a real ability to galvanise an audience with how emotional every single one of their performances sound. There was a very odd choice by the band to take a photo with the crowd mid set. To me when you have such a mysterious and enigmatic vibe established, you shouldn’t be causing such a disconnect with the audience. You pull them out of the moment and it felt like starting all over again. Potentially just a personal preference. On other, of very few, short falls was the decision to have Lynn play drums for short periods during songs despite already having a drummer (and a damn good one at that) playing at the same time. It seems a futile venture if her drums aren’t going to be mixed properly and if she’s only going to play the same thing as the primary drummer. It adds very little. Looks cool though. As we draw to a close Pvris explode into My House with aplomb. This song has so much fire behind it that it must be tough to keep the energy at such a peak so close to the close of the set. None-the-less, Pvris manage this with zero signs of slowing down. Their stamina allows them to finish so strongly and leave a lasting memory with everyone in the building. To me that was that they have the longevity factor. They filled Manchester Apollo and inspired so many young people to come along and express themselves. Mission accomplished. 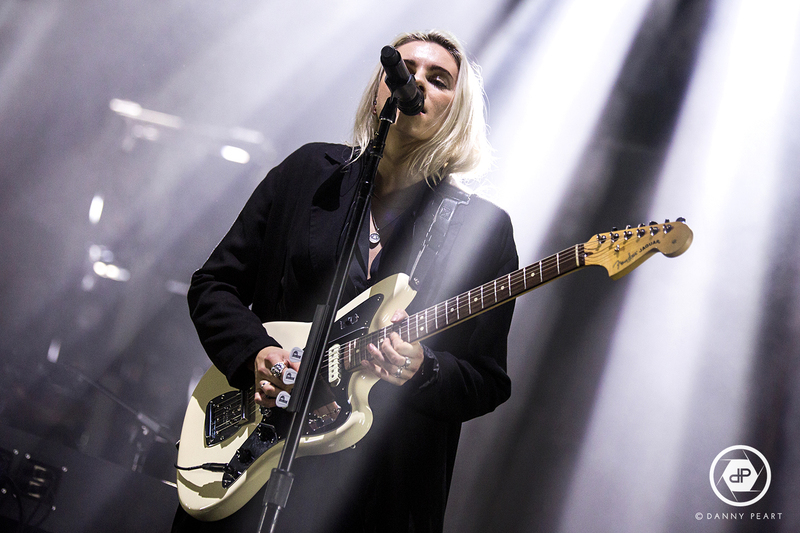 Check out more Live photos of PVRIS in Manchester here!